A historic record in Gdańsk Naftoport. The company handled 14.92 million tonnes of crude oil and liquid fuels in 2018. This is an increase of 20% compared to the fourth largest result recorded in 2017, when the transhipment reached 12.48 million tons. In previous year, Naftoport handled 12.14 million tons of oil and 2.78 million tons of liquid fuels. 314 ships called at the port. In 2017, the company reloaded 9.99 million tons of oil and 2.48 million tons of petroleum products, which means an increase of 21% and 12% respectively. Two years ago, Naftoport of Gdansk handled 264 tankers. - The cargo turnover record of Naftoport in 2018 was possible primarily due to extra volumes of crude oil. This shipments came from similar directions that was seen in 2016-2017, when cargo from the US or the Middle East increased. However, deliveries from African countries were a novelty in the past year – told Andrzej Brzózka, the president of Naftoport for ISBnews. In an interview with the ISBnews he added, that Naftoport also expects very good financial results for the previous year and the historical result was also influenced by the "unexpectedly good year in terms of transhipment of fuels" as well as trouble-free and smooth operation of the company. - If there will be no significant changes on the market, I expect at least comparable crude oil transhipments in 2019 – said Brzózka. Previous record was achieved in 2015. Over 14.28 million tonnes of liquid cargo were handled, of which crude oil accounted for 75%, and liquid fuel - 25%. The terminal serviced then 366 vessels, including 106 vessels which tonnage exceeded 80,000 tons. The most important directions of crude oil supplies at Naftoport are the Middle East, the United States, the North Sea basin and deposits in the Baltic Sea. Much of the oil also comes from Russia. 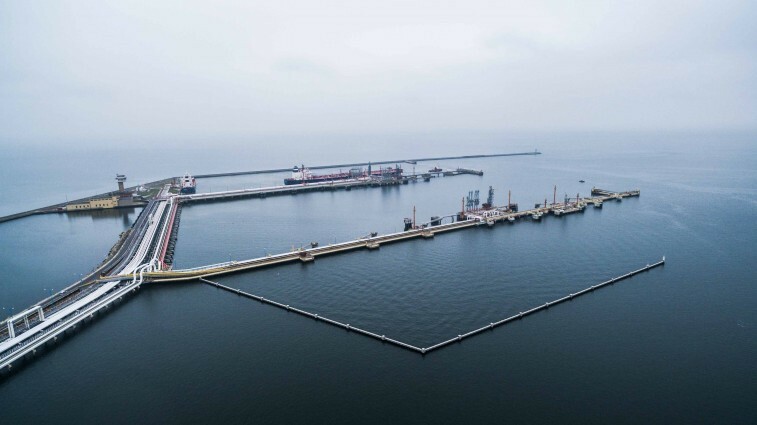 Naftoport, which belongs to the PERN Capital Group, performs transhipments of crude oil and petroleum products at the Port of Gdansk. The company is an important element of the logistics in oil supply for Polish and German refineries. Naftoports' infrastructure includes five sites with a handling potential exceeding 44 million tonnes of liquid fuels per year. An additional advantage is fact, that the largest vessels sailing on Baltic can call at the Port of Gdansk. The base is adapted to support huge oceanic Aframaxes, Suezmaxes and VLCC (Very Large Crude Carrier) tankers. Naftoport is one of the most competitive oil terminals in the southern Baltic. This potential is successfully used by Polish refineries, both LOTOS and Orlen. In 2017, the company sales revenues reached 85.5 million PLN and net profit was 24 mln PLN.